Electronics are recyclable, but the disposal of all FSU property must be properly authorized by Property Services before it is recycled. 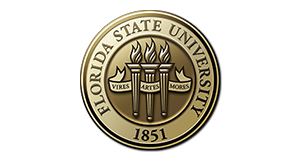 Additional information on the proper disposal of FSU property, including electronics, is available in Property Services' Frequently Asked Questions. Recycling "e-waste" not only reduces the need to use landfill space, but also keep harmful chemicals and components from impacting the environment. There is an electronics recycling bin outside of the FSU Bookstore for ink and toner cartridges, cell phones, and batteries.